In the extensive folio of Church documents pertaining to the life of Paul of the Cross we read countless first hand testimonies bearing witness to extraordinary miracles and graces that occurred throughout the life of the Saint. Among the many graces were numerous testimonies relating events where the Saint cured the blind, the deaf, those paralyzed and countless other sick people, converted numerous hardened sinners, battled openly with the demons, was seen in two places at once, was held aloft and carried great distance by an angel, and was gifted with the ability to read into the hearts of penitents. Most of the extraordinary graces and miracle below are taken from the book “The Life of St Paul of the Cross –Founder of the Congregation of Discalced Clerks of the Holy Cross and Passion of Our Lord” written by Rev. Father Pius a Sprito Santo C.P. in 1867, only 90 years after the death of Saint Paul. Many of the miracles presented rest upon very strong evidence--no less than the sworn depositions of most respectable and unim­peachable witnesses. At the close of a very successful mission given by the Saint in Orbetello, in September, 1741, a child which was gazing out of a window at the crowd of people who were leaving the church fell down upon the pavement and was killed at once. Medical assistance was called, but sadly he was pronounced dead. In the meantime the Saint was returning to Mount Argentaro, and he was just about to enter a boat when the disconsolate parents of the child ran down to the shore and related to him what had hap­pened. He returned with them, and saw the corpse of the little innocent. He remained some time in silent prayer, then he spread his hands over the body. Breathless silence pervaded the crowd of people who were standing around. In a few seconds, life was restored to the child, and Paul gave him back per­fectly cured to the arms of his weeping parents. Paul once told a confidential friend that several times, when he could not say a single word upon the platform on account of his great infirmities, his guardian angel preached in his stead. Concerning this he remarked: "Oh, how many favours have I not received I and what return do I make for them but ingrati­tude! " It is needless to recount these favours more in detail, although it might be easily done, since names and dates are given in the documents from which we take our account. He was several times in danger of losing his life, and an inspiration or interposition of God saved him. Once when he disembarked to give a mission in Langone, he had to climb up a large rock and upon doing so he slipped, yet without any visible reason, he was held aloft until he regained his footing. Another time, he and a companion sat under a tree to refresh themselves upon a journey. Paul said to the other that they had better go off to another shade, and his counsel was followed rather unwillingly; but scarcely were they seated in the next shade, when the former tree fell to the ground with a tremendous crash. Had the two fathers remained, they would certainly have been killed. Once when he was almost frozen due to the extreme cold, he was borne by an angel and carried a great distance, and set down within a few paces of his Retreat. One day a poor man came to Monte Argentaro and asked a priest whom he met in the church if he could see Father Paul of the Cross. The father told him that unfortunately it was not possible at that moment, as Paul was away at that time. Then the man began to cry, and told him that he had lived in sacrilege for fifty years, and that he should continue so perhaps to the end if Father Paul had not appeared to him three different times, and threatened with an unsheathed sword to slay him if he did not go to confession. He found a confessor, of course, and returned to his home in peace and happiness, When this father met the Saint, shortly after , he said, in the way of a joke, "So, Father, you have taken to a new way of giving missions." "What is that?" asked, the Saint. "Oh, you go about with a sword threatening to kill people if they don't go to confession." He then related the story of the poor man, and he was told by the Saint that it was his guardian angel who took his shape, and preached in his stead, and that that was not the first time. Paul had often visions of the suffering souls in Purgatory; they were allowed by God to come to his cell and relate what they had to endure, and to beg him for his prayers. He would then arise at once, go to some chapel, and immediately took to prayer and disciplines to relieve his suffering friends in Christ. He would then be troubled at having gone beyond the bounds which his director set to his austerities; but one day his guardian angel consoled him by taking him in spirit to Purgatory for a few minutes, and let him experience what the holy souls there had to suffer. After this extraordinary grace he offered all the satisfactory acts he could for these poor souls, and tried to get others to do the same. One case is recorded in the acts of his life which gives us an idea of the efficacy of his intercession. There was a priest whom the Saint esteemed very much, and in his holy frindship he advised him to correct some small failings to which he was subject. One night as the Saint had just retired to rest, he heard an extra­ordinary knock at his door. Thinking it was the devil come to torment him, he decided not to answer the door and let him stay outside. When the knock was repeated three times, he perceived that it must be a different visitor, and commanded him to tell who he was, and what brought him there at such an hour. "I am …..," he said,-Paul saw his soul by an interior vision,-" who has died this very night and I have come to tell you that I have been condemned to Purgatory on account of those faults which you lectured me. Oh, how I do suffer! it seems a thousand years since I passed from my earthly existence." Paul looked at a watch, and found that he had been dead, according to his own account, for just a quarter of an hour. The servant of God began his prayers and peni­tential exercises, and did not cease offering all sorts of indulgences and mortifications for the soul of his departed friend until near daybreak. As is usual in such cases, he received no clear intimation of his suffrages being accepted. At length, he exclaimed, "Oh, dear Lord, through the love Thou bearest my soul, I beseech Thee liberate my friend from his prison." He was then given to understand that before midday the next day that the grace would be granted. At the break of the next day he said Mass for his repose, and just as he had consumed the sacred species he saw the soul of the priest go joyfully to heaven. When the Saint was giving a mission in the Isle of Elba, a man, who had need of a mission very much, happened to be coming into the town on some busi­ness or other. About a mile from the town he heard a voice denouncing sin, and displaying the dreadful punishment which awaits the sinner in the next life. He could not let the surprising words out of his mind, and when he arrived in the town, he found, on inquiry, that the famous missionary had just con­cluded his sermon on sin. He went straightway to tho church and made his peace with God. This remarkable favour was repeated many times. A poor shepherd on the same island who was obliged by a master, or by his poverty, to stay with his sheep when he might wish to go to the mission, heard every word the missionary said in the wood where he used to sit ill the shade to watch his flock and say his rosary. A sick person in Oivita Vecchia heard him from his bed, although the church was the greater part of a mile distant. A doctor in Civita Oastellana contrived to arrange his sick calls that he was able to attend to the mission sermons of Father Paul. On two successive days he was called upon for extra visits, and had to give up, to his great regret, all idea of going to the mission. He stopped on his way to venerate an image of the Madonna which was placed in a niche on the roadside, and while there he heard distinctly every word the Saint was saying. On various occasions he kept the rain away from multitudes who were assembled to hear him in the open air. This happened at Sutri and Santafiora, about the year 1751. The fields and streets were deluged with rain, and so were all who ran away for shelter, while not a drop fell upon the Saint or those who had faith enough in his promise to stay and hear the sermon through. He once had to go across an arm of the sea to give a mission, and there was no vessel but a rotten old wooden boat, which had been a long time out of use. He asked a few sailors to row him and his companions across in it; with good reason they refused at first, but when they were told by a companion who it was who asked them, they took courage and manned the boat. Knowing of his holy reputation, they believed that nothing could happen to them while in the company of the Saint. Their faith was rewarded and to their great surprise and edification the boat carried them all across safely. Another time the Saint and his brother were given poison in their food by some wicked men whose con­duct they denounced from the platform. That Lord who said of His chosen servants, "If they drink any deadly thing it shall not hurt them," protected them; for in a few minutes after their meal they cast up the poisoned food, and went on with their work as if nothing had happened. When the Saint was giving a mission in Monte Romano, he wanted to send a very important letter to Sutri, and engaged a person named Mattia Maire, to be the bearer of the letter. Mattia heard that a river which crossed his road was swollen by the heavy rains, and feared that he would be unable to fulfill his engagement. In reply, the Saint said, "Go, I promise you the Divine protection -yes, I promise it to you; and even if the water should reach the tops of the trees, never mind, pass over and don't fear." Full of confidence Mattia set off, and his conduct gives us a beautiful evidence of the conception in which Father Paul was held by the people. Who would obey a Priest missioner and venture his life if he did not believe that the elements themselves were obedient to him? When he came to the river, he found a number of carriers detained. on the bank, who, of course, tried to dissuade him from pro­ceeding. With confidence in Paul’s assurance, Mattia drove the horse into the river, and without his knowing how, the animal galloped over the waters, so that the men on the shore saw his shoes. Astonished, they later reasoned among themselves that it must have been the devil, and were happy on their narrow escape from some worse fate than that of being weather-bound on the shore. In the September of 1750 he gave a mission in Canepina; and the people, who lived chiefly on the sale of chest­nuts, came to the Saint with downcast looks, as they expected a year of famine from the withered appear ance of chestnut-trees and the drought, which had parched up whatever kernels had made their appear­ance on the branches. The Saint compassionated them, and, after praying fervently said from the platform, "Fear not, my dear people, recommend yourselves to God and trust in Him, for I hope the harvest of chestnuts will be abundant this year." After the mission copious rains fell, the trees flourished, and the prediction was more than verified. In Arlena, near Montefiascone, a poor woman was very deaf, and wished to hear the mission sermons. She followed the Saint one night, applied his habit to her ear, and recovered her hearing perfectly. Another time, in Sutri, sometime about 1755, he cured a virulent cancer by making the sign of the cross upon it with the oil of the lamp before the Blessed Sacrament. In a year of great scarcity of corn, shortly after 1750, the Saint was in Civita-Castellana. A charitable lady, who every year supported many poor people, told him that she would be forced to omit her charity this year, because their granary was almost empty. Paul said to her, "Give the usual alms, and even more, and God will multiply your store." She obeyed him strictly. They had just thirty quarts of grain at the time of his visit. Following his direction, the began to give out even larger alms than usual, and to their great surprise the supply in the grainery never lessened. At the end of several months they found that they had exactly the same quantity of grain which they had in the beginning. Upon the very day of the Saint's death, he appeared to a child, who was called Paula, in re­membrance of his having cured her mother, whilst in pregnancy, of a dangerous illness. The child was in the last stage of measles, and her eyes were closed. She never saw the holy man in life. and her de­scription of him corresponded exactly to his appear­ance. She said he came and cured her, and she remained cured for the years thereafter. While his body lay in the church, a girl came from the other end of the city in hopes that she would be cured of a painful and vir­ulent ulcer in the cheek by his intercession,. With difficulty did she get through the crowd, but as soon as she kissed his hand, and touched her cheek with it, she was instantly in the sight of all the people cured by him. Before the end of the month in which he died, a Poor-Clare nun of Civita-Castellana was cured by him. The touch of a bead which the Saint had used cured a child in December of the same year. A picture of the Saint cured a painful illness in 1776. In the December of the same year an application of a simple picture cured an infant which was horribly deformed at its birth. Bits of his habit, handker­chiefs, or other articles used by him, wrought cures everywhere. Cripples, and persons despaired of by doctors, came to pray at his tomb in SS. John and Paul, and went home restored to health. In the Beatification and Canonization processes, the names of all these people, and a great many more, are given, with a full description of the nature and stage of their disease, and of the manner and length of time in which they were cured, therefore we do not consider it necessary to transfer them to our pages. Enough has been said to show that our Lord is still faithful to His promises, and that His chosen servants do sometimes greater things than He has done. Enough has been said to show that the note of sanctity is still visible in the Church of God through the great holiness of her children, and that the spirit which planted Christianity still continues to maintain it. Enough has been said to show the sanctity of Saint Paul; and if many things have been omitted, we have the precedent of the inspired historian of our Lord's life in the Holy Scriptures for the course we have adopted. We shall, therefore, content ourselves with briefly detailing the miracles which were proved in Rome, and passed the congregations for the Beatification and Canonization. 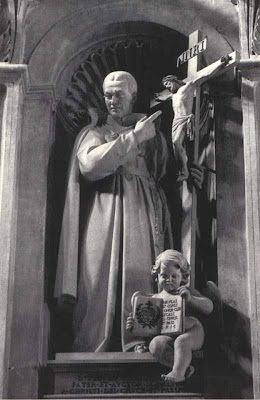 The first miracle for the Beatification was the cure of a little boy, which was performed in 1816, forty-one years after the death of the Saint. His father was a surgeon, and he and others of the same profession judged the child, who was just seven years of age, to be beyond the reach of medical art. Aneurism, fever, and a complication of other ailments brought him to deaths door; a consultation of physicians ended in the decision that nothing could be done for him .The sorrowing parents looked upon their boy in the last agony, and had to change their sobs into a few broken remarks about the preparation for his funeral. 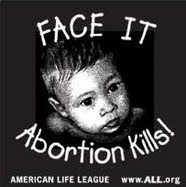 There lay the child, cadaverous, helpless, agonizing, unable to speak, move, or understand. Suddenly the father, caught between despair and hope, recollected himself and through an inspiration of God (one can assume) he recalled that he had a bit of Father Paul's habit in the house. Quickly retrieving it, they gave him a tiny morsel in a drop of water, which, with much difficulty, they managed to introduce between his clenched teeth. In a moment he was well, arose, called for strong food, and was perfectly recovered. The second was the cure of a cancer in the breast of a modest young woman who would rather die than undergo an operation which was judged necessary by her physicians. She wore a piece of the habit of the venerable Father Paul on her breast, and recited for several days, three Our Fathers and Hail Marys to the Blessed Trinity, in thanksgiving for the graces bestowed upon the servant of God, as it was not then quite lawful to invoke his direct intercession-at least publicly. One day, while saying these prayers in the church, she found a thrilling sensation all over her, which made her imagine her end approached. On recovering from her fright she found herself perfectly cured. This extraordinary miracle happened in November, 1844. These miracles, with the other evidences of his sanctity, closed the case for the Beatification. From the numerous prodigies which were wrought through the blessed Paul's intercession since the solemn declaration Beautification in 1853, two were selected for the cause of the Canonization. The first of these was a cure wrought upon a certain Rose d'Alena, similar to the second recorded above, with the slight difference that she was on her way to the surgeon's to submit to the operation when she accidentally turned into one of our churches (Passionist Church -editor), and prayed there before the image of blessed Paul. She decided to have a Mass celebrated in his honour at that very moment, and before the end of the Mass the cure was suddenly and perfectly accomplished. This happened in 1858. The second miracle was the multiplication of corn effected in S. Angelo, near Vetralla, through the Saint's intercession, in 1854. The religious of this Retreat found that their supply of corn would not carry them to the summer, and that a bad harvest made it unlikely that begging could succeed in supplying their needs. The brother asked the Rector if he should continue to give the usual alms to the poor, and was told that he should. The provincial then told them to have recourse to our blessed founder; they said prayers in his honour every day, and some of them before the door of the granary measured the corn, and after having fed thirty-six religious and a multitude of visitors and poor for several months, there was more corn found in the storehouse than had been at the beginning. A multitude of people came to have their devotion gratified by a little of the miraculous grain when the miracle became known. The satisfying of their devotion seemed to increase the heap, and it went on thus until the harvest-time. Thank you for the greast article! It is very well written! Any Christ-follower who writes about or documents so-called miracles should first and foremost attribute these miracles to GOD, as He alone works through (any of )us to allow HIS signs and wonders to be seen and realized in the minds and bodies of those HE chooses to heal, to glory of HIS Holy Name.....not to any particular "saint". Please be careful so as not to mislead those who might misinterpret the Majesty of our Almighty God.Thnak you, and God bless.